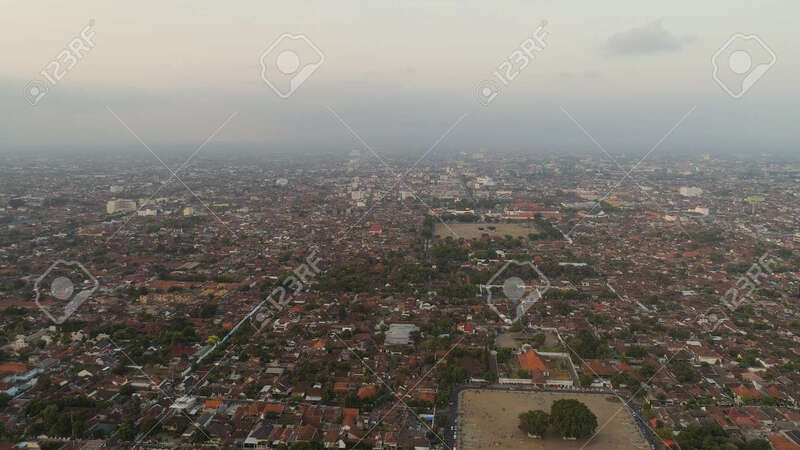 Cityscape Yogyakarta With Buildings, Highway At Sunset Time. Aerial View Cultural Capital Indonesia Yogyakarta Located On Java Island, Indonesia Lizenzfreie Fotos, Bilder Und Stock Fotografie. Image 115258607.